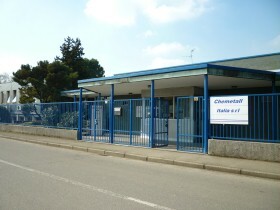 Chemetall Italia S.r.l and Chemetall S.r.l. are located in Giussano (MB) with a total surface area of about 30.000 sqm, including production site, offices and labs. Chemetall Italia is certified according to UNI EN ISO 9001:2008, UNI EN ISO 14001:2004, ISO/TS 16949:2009 and OHSAS 18001.